Arcadia Christian School was originally founded in 1945 by a group of parents who wished to provide a Christian education for their children. Their vision sought to combine academic excellence and Biblical instruction of the Lord. Today, Arcadia Christian School continues that rich tradition for grades preschool to eighth. ACS offers a life-changing education that prepares students for lifelong learning and leadership, encouraging students to make a positive impact for Jesus Christ in their community. ACS also offers a rich academic experience that develops critical thinking, connecting theory and practice. Less than 15 miles east of Los Angeles, Arcadia Christian School is located at the base of the San Gabriel Mountains, and retains the serenity of a foothill community. 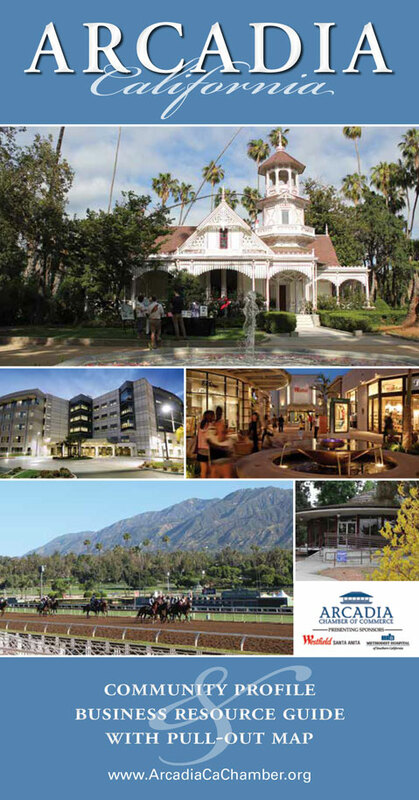 Arcadia is home to the Los Angeles County Arboretum and Botanic Garden, and for the second year in a row, Bloomberg Businessweek named Arcadia one of the “Best Places to Raise Your Kids: 2010”. Arcadia Christian School was originally founded by a concerned group of parents from the Arcadia Christian Reformed Church who wished to provide a Christian education for their children. Their vision was to provide an educational setting that would assist parents with their responsibility to raise their children in the nurture and instruction of the Lord. In 1945, it was incorporated as the Christian School Society of Arcadia, an independent organization. Today Arcadia Christian School still strives to provide this Christian education through a commitment to educational excellence and Biblical values. SOS, started by Jim Irwin, has packaged a self-directed course consisting of 2 books: “Don’t Fumble”, the concept book, which should be read first, and the “Success Book”, the supplemental calendar book. Together, the 2 book package guides high school students to higher levels of success and productivity. Once put into practice, the course will move the student to be more successful every day. Jim has put 30 years of teaching, coaching, and counseling high school kids into play in Don’t Fumble. He has worked with thousands of kids and the SOS package is the culmination of his observations and insights into what students need to do to be successful in high school. Jim has witnessed, first hand, many of the struggles high school students and their parents go through. This program came about as a remedy for those kids who were struggling and a roadmap for future students. Jim’s insights bring a fresh and simple approach to move high school students in the right direction. His approach is viable. How do we know this? Because he still uses it every day with great success. MAVIN Learning Center helps students fulfill their potential. We do this through personalized instruction. Whether a student is an over-achiever or struggling with courses, we have the right solutions. With expert help and individual attention, every student can improve. Business summary: Asian Youth Center (AYC) is a 501(c)3 non-profit community based organization serving the social service and educational needs of all youth and families, with a focus on Asian Immigrants. All of AYC’s programs and services help at-risk low income, immigrant, and adjudicated youth overcome the many problems they face at home, in school, and in the neighborhoods where they live. Since 1989, AYC has helped youth adapt and grow up to become healthy, productive law-abiding citizens who contribute positively to the multi-cultural society of the Greater Los Angeles area. Established in 1989, the Asian Youth Center has been helping children and families in the San Gabriel Valley for over two decades. Over the years, the Asian Youth Center has continued to grow. In 1990, the organization became an independent and a non-profit organization. In the last 15 years, AYC has expanded its scope to serve non Asian youth and families as well, with culturally appropriate services in Cantonese, Mandarin, Vietnamese, Spanish, and English. Currently, AYC has offices in San Gabriel, Los Angeles, Lancaster, and Huntington Park. Our combined facilities have recreation areas, an indoor basketball court, computer labs, classrooms, and office space. 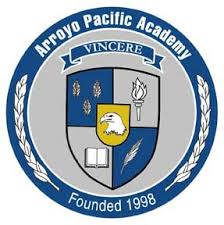 Business summary: Arroyo Pacific Academy is a private coeducational college preparatory high school based in Arcadia. Arroyo Pacific Academy is a private coeducational college preparatory high school based in Arcadia. Arroyo Pacific Academy also welcomes students whose dominant language is not English. The Academy is a member of the Association of International Educators (NAFSA) and is fully accredited by the Western Association of Schools and Colleges (WASC). The International Student Program is designed to teach students social and academic language skills as well as the cultural aspects of the English language necessary to succeed in an academic environment and contribute to society. It involves teaching, listening, speaking, reading and writing at appropriate developmental and proficiency levels. As part of the application process, the TOEFL or TOEFL Jr. must be taken by the student and official documentation must be provided. The I-20 form is issued at Arroyo Pacific Academy as a certified school by the Department of Homeland Security and the Student and Exchange Visitor Program (SEVP). Our approved admissions representatives (Agents) will help prepare documents for the admission process. Applicants will be required to provide current immigration documents to be copied and submit personal information as required by the U.S. Immigration and Customs Enforcement. In addition, international students are required to meet the same academic and admission requirements as other students. For admission into this program, please request an International Student Admissions Package from our Admissions Office admissions@arroyopacific.org. In the Arcadia Unified School District, families and community are partners for student success. The policies, personnel and resources of the Arcadia Unified School District are used to ensure that all students are provided engaging, meaningful schoolwork that results in challenging them to think and reason, develop ownership for their own lifelong learning, respect diversity, and be contributing members of society. It is the mission of the Arcadia Unified School District and the obligation of each school to provide quality work which is engaging, results in students learning meaningful content, and challenges every student to learn more. Students are clients of the school district entitled to quality work. Teachers are leaders entrusted to provide quality work for students. Principals as leaders of leaders, are accountable for the success of the school. District-level staff have a responsibility to work with schools and support initiative and effort to design quality work for students. All support staff contribute to an environment conducive to engaging students in quality work. The Superintendent has a critical responsibility to communicate a vision of the future and to initiate and support action toward the vision. The Board of Education is responsible for setting policies that are consistent with these beliefs and that help the district to realize its vision. Developing quality work requires collaboration and commitment to continuous professional growth on the part of educators and district staff. The resources of the district must be organized to support the school’s obligation to provide quality work. Schools and families are partners in helping students develop a sense of ownership for their learning. The school district has a responsibility to enlist family and community resources necessary to support students’ school success.